and sponsors at an entertaining closing event! After a full day of technology-focused educational sessions, hop on our shuttle for unparalleled networking in the exciting world of Topgolf Las Vegas! At the "course" you'll hit microchipped golf balls that track each shot's accuracy and distance, and earn points for hitting targets on the outfield! 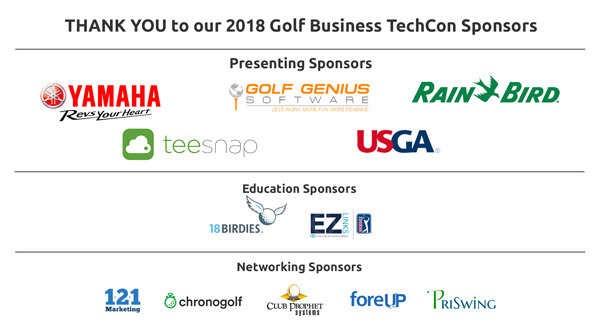 It's a thrilling game to play while you link up with other Golf Business TechCon18 attendees over great food and drinks! And you can't beat the view of Las Vegas from the bays... a golfing experience like no other! Click here for a peek inside the venue! the Las Vegas experience is one-of-a-kind! 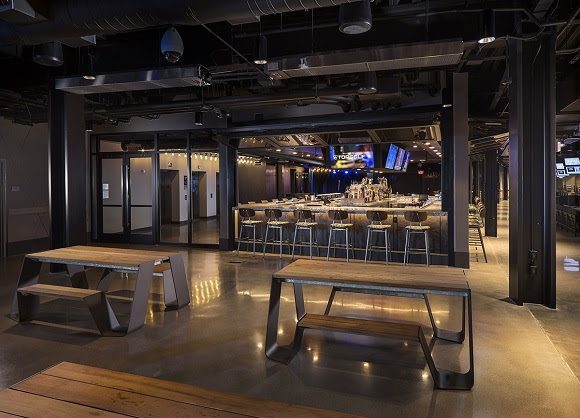 The Birdie Bar is one of Topgolf Las Vegas' five bars and is located on the second level of the entertainment venue. Its wraparound bar runs along the TOYOTA Yard as well as the Tee Line of hitting bays... it's an ideal location to reconnect with friends and make new business connections. Please note: the Golf Business TechCon18 hotel room block at the ARIA Resort & Casino in Las Vegas is open for reservations now; if you book today, you'll get the very best rate, and guarantee your room when this event sells out again! Deadline for booking at the NGCOA group rate is September 17 and this event sold out last year. Click here to book now or call our dedicated reservations line 866-359-7757. A daily resort fee of $39 plus tax will be applied to each hotel reservation and is required at check-in. transform your golf course business!